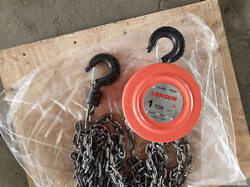 Providing you the best range of amenabar hand chain hoist, fetter chain pulley block, worm gear chain pulley block, chain lifting block, longem chain pulley block and chain pulley block with effective & timely delivery. Amenabar‘s experience and know-how in the design, development and manufacture of lifting machinery to FEM standards make the name Amenabar a synonym for safety, quality and guarantee in Chain Hoists. Amenabar AR Series Hand Chain Hoists are the only ones on the market with permanent load chain guide in the shape of two central bodies which completely surround the sheave, thus ensuring that the load chain is permanently guided all along its travel on the plane of rotation of the sheave. Amenabar Chain Hoists have the qualities most sought-after by customers: safety, reliability and guaranteed operation at competitive prices. 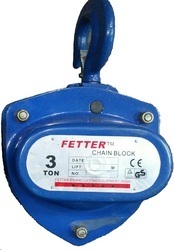 Amenabar recommends using hand chain hoists with permanent load chain guide Safety Factor of 5-6. 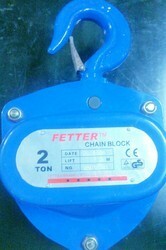 This increased safety factor means that the hand chain hoists can perform many more cycles than conventional products. 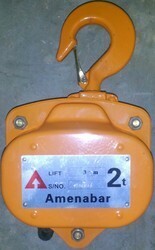 This longer lifetime of the Amenabar Hand Chain Hoists is an evident saving for the customer. Maximum Safety. 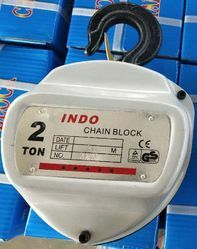 The load chain can not jam or break because it is PERMANENTLY GUIDED. Maximum Reliability. 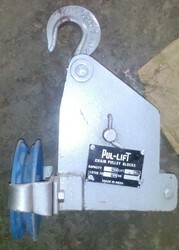 Patented immediate action safety brake. Maximum Useful Lifetime. Built to work at fullload in the harshest conditions for many years. Minimal Maintenance. Just grease the chain. Load Test Certificate. 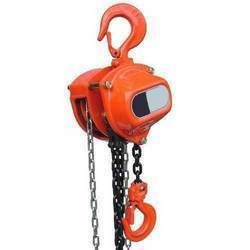 Each chain hoist is tested at 125% of its rated load. Maximum Guarantee. 3 YEAR Basic Guarantee (1 year for the chain). 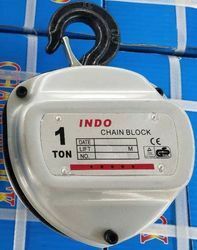 As per the variegated requirements of our clients, we are offering a broad collection of Worm Gear Chain Pulley Block. Minimum Order Quantity 10 PCS. · Essential hardware item for rigging. 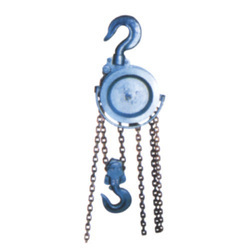 · Equipped with exclusive permanent guiding system of the load chain. Available in 1 ton, 2 ton, 3 ton, 5 ton, 10 ton, sold individually, order any quantity for your project as per your requirement. Minimum Order Quantity 10 pc.